There is an ancient and quite baseless myth that the use of torture has never been legal in Britain. This old wives' tale arose because torture had been neither endorsed nor forbidden by either statute or common law. In other words; the law has, until the late twentieth century, never had anything to say on the subject. 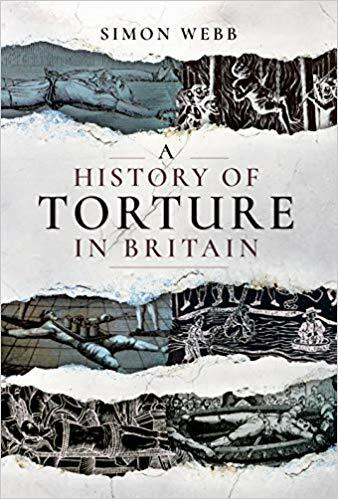 In fact, torture, inflicted both as punishment and as an aid to interrogation, has been a constant and recurring feature of British life; from the beginning of the country's recorded history, until well into the twentieth century. Even as late as 1976, the European Court of Human Rights ruled that the British Army was guilty of the systematic torture of suspected terrorists. 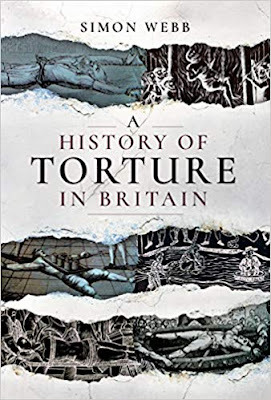 In 'A History of Torture in Britain' Simon Webb traces the terrible story of the deliberate use of pain on prisoners in Britain and its overseas possessions. Beginning with the medieval trial by ordeal, which entailed carrying a red-hot iron bar in your bare hand for a certain distance, through to the stretching on the rack of political prisoners and the mutilation of those found guilty of sedition; the evidence clearly shows that Britain has relied heavily upon torture, both at home and abroad, for almost the whole of its history. This sweeping and authoritative account of a grisly and distasteful subject is likely to become the definitive history of the judicial infliction of pain in Britain and its Empire.